Petra has been our receptionist and office manager since 2006. Graduated in 1987 from dental hygiene, she brings with her more than 25 years of clinical experience in the dental industry. 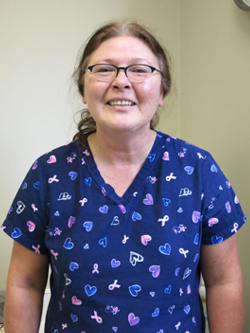 With a friendly and gregarious personality, Petra uses her clinical knowledge in helping our patients schedule appointments and understand insurance benefits. In her free time,she enjoys a good book and spending time with her family and her beloved black lab, Bear. 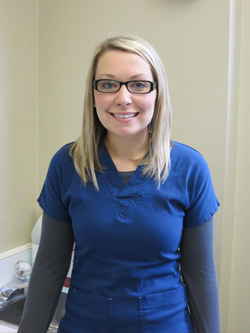 Danielle is a graduate of Niagara College and is registered as a dental hygienist since 2009. She joined our office shortly after. Danielle is passionate about dentistry, health and wellness. With her upbeat and friendly nature, she relishes the one-on-one interactions, but what our patients love the most about her, is her gentle touch. Danielle enjoys travelling and training her two-year-old bullmastiff, Josie. 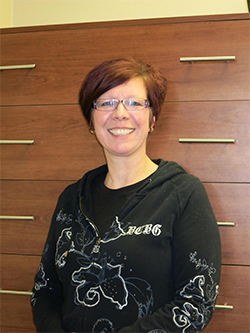 Heidi joined our team in 2009 as a chairside dental assistant. She received her training at the Durham College in 1980. With ample clinical experience in the dental field, she provides stability and comfort to our patients. In her spare time, she loves playing with her cat, Tigre.